Your Support Matters are running for young disabled people or people who may require support living in Bury that are aged between 18-35 year old. New young people’s project, new session! Are you an artist, sculptor, film maker working around disability issues? This afternoon (Friday 8th June) TransPennine Express (TPE) released a statement saying they will not be running an inaccessible train service. 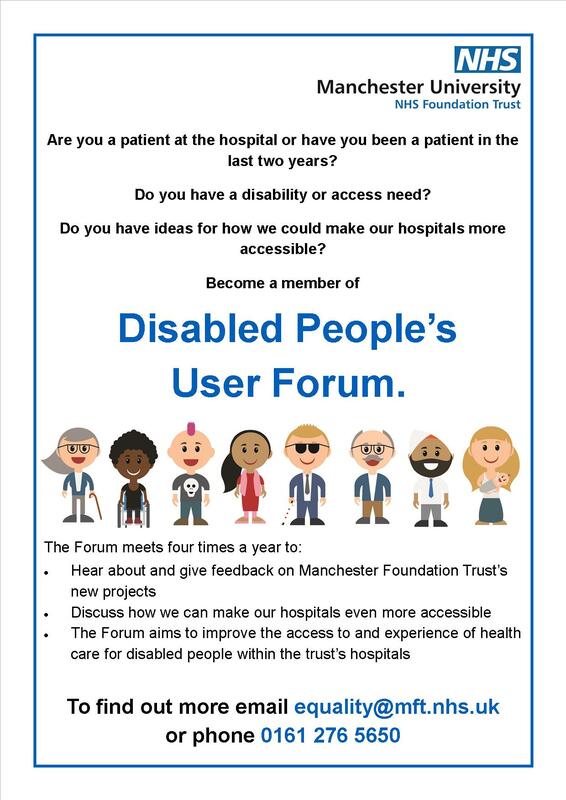 Manchester University NHS Foundation Trust’s (MFT’s) is running a Disabled People’s User Forum which engages with disabled people who use their hospitals. Greater Manchester Coalition of Disabled People have started a petition about TransPennine Express (TPE- part of First Group) who are going to run services that are totally inaccessible to wheelchair-users. Disability News Service are seeking claimants to take legal cases over PIP dishonesty. Part of The Lowry’s Week 53 Festival, MADHOUSE re:exit will be staged throughout the hidden passages beneath Barton Arcade, 17-26th May 2018.